The Trumpet Case by Gear4music is a high quality case, suitable for most trumpets. It has a lightweight but protective foam shell finished with a durable fabric. 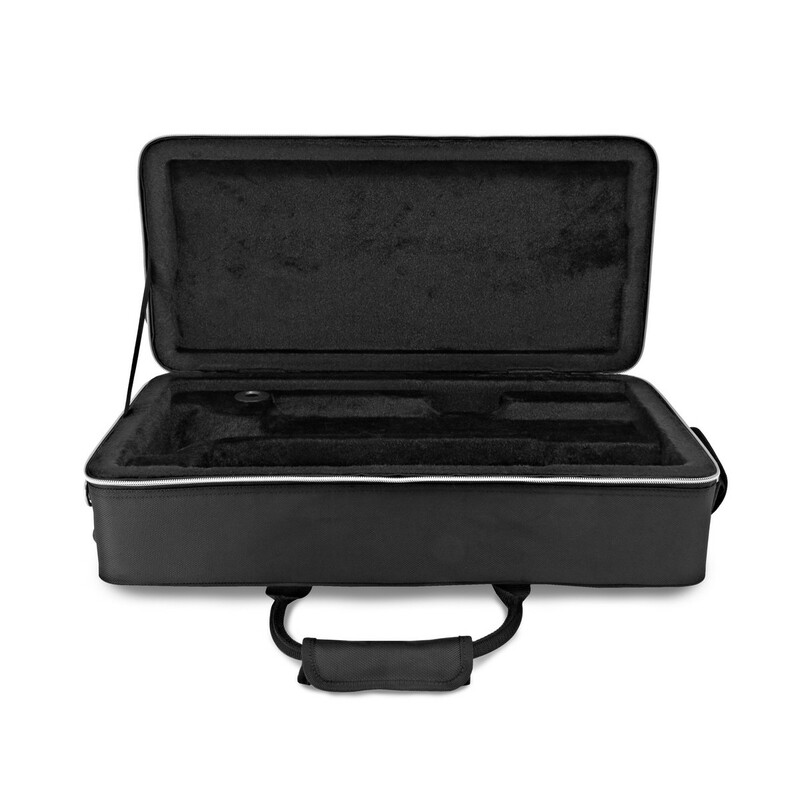 Inside there is space for mouthpiece storage as well as a separate accessory pocket. 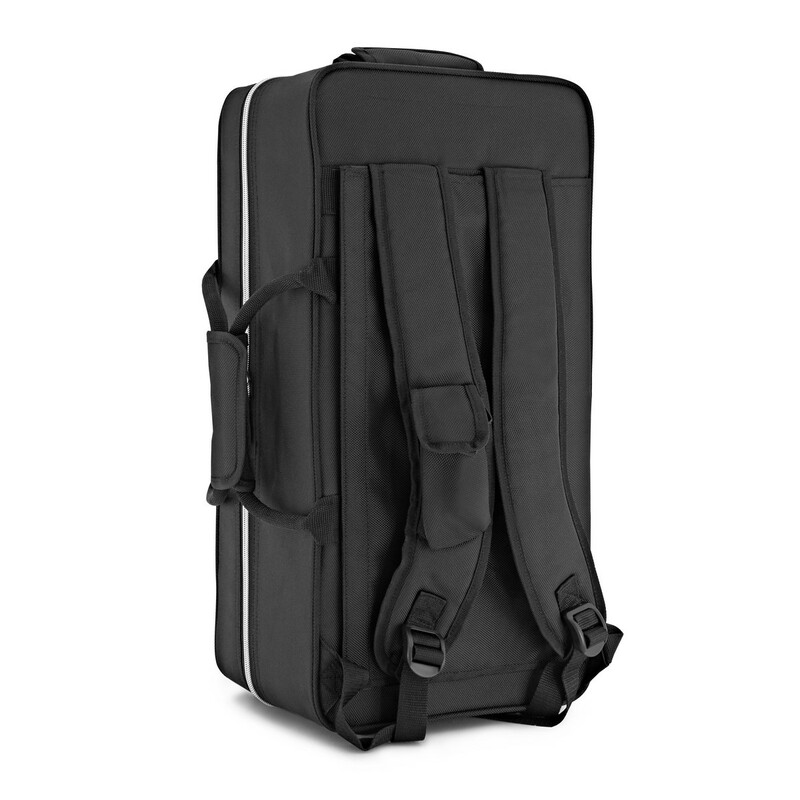 This case also has a large external pocket, carry handle and shoulder straps for easy transportation. 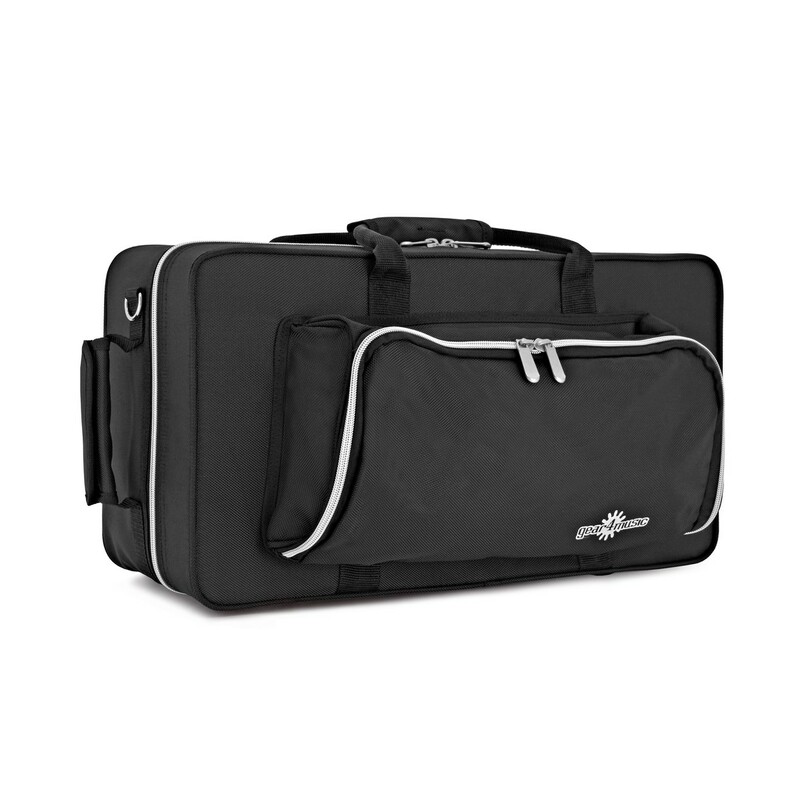 Matte black finish felt lined trumpet case with handles and zip pockets. 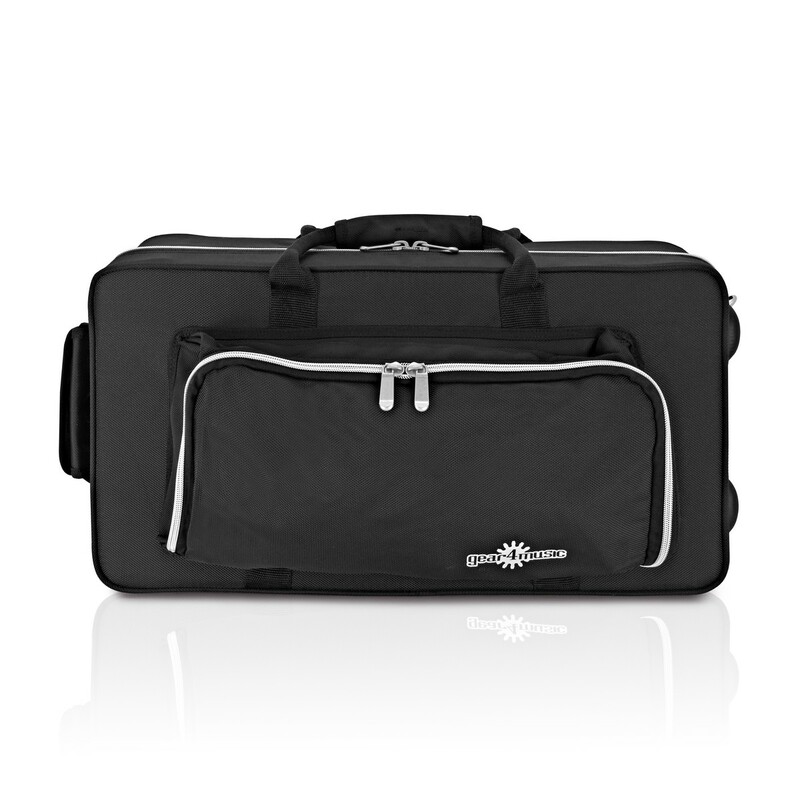 Durable and lightweight, to offer the very best protection for your trumpet and accessories.